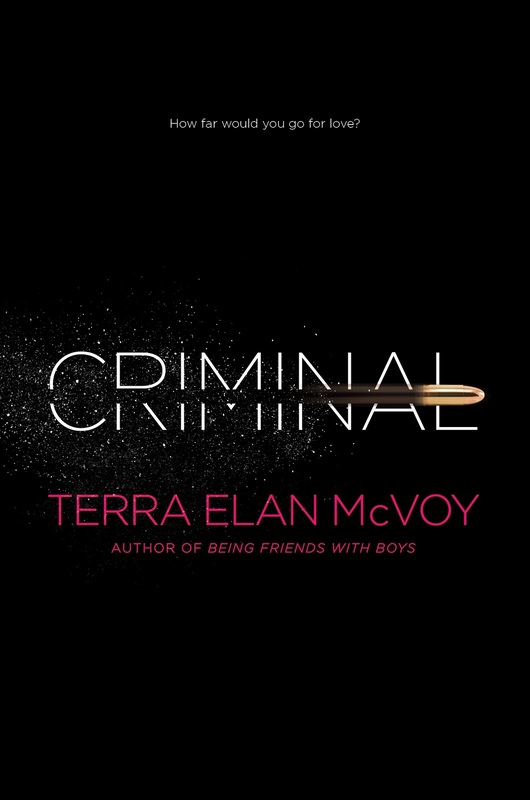 Hitting shelves today is Terra Elan McVoy's newest release Criminal. Though I've always been a huge fan of Terra's, I have to admit, this is my favorite book of hers. So to celebrate the release, I've got an awesome interview with Terra plus a chance for one of you guys to win a signed copy of of the book! Criminal is your fifth book to date, but is very different from your prior works. What about this one makes it special for you, compared to the others? The most special part of Criminal for me is largely that it’s so different from the others! Each book I write is its own version of scary; there’s usually a place in the middle where I think, “Oh gosh I can’t do this,” but for Criminal that feeling was magnified times ten. I’d never written characters so clearly out of my own comfort zone before—people with much fewer resources, living lifestyles very different from my own or anyone else’s I know personally— so I was relying even more heavily on my imagination and powers of observation than usual. I also had to do a ton of research, and trying to work all that in in an honest way was really a challenge. What was difficult for me about the book though, is also what makes it a special one. Nikki is a character who makes plenty of mistakes, but who also has a pretty incredible strength to her. What was the hardest part about developing her character? What surprised you the most? 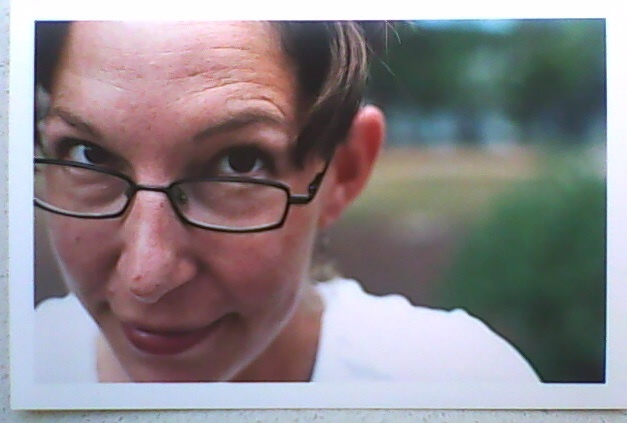 The hardest part about developing Nikki was getting over my negative judgment of her. A lot of this book came from something my mentor at Florida State University, Mark Winegardner, said once: “Write what you most want to understand.” This phrase got in my head when I heard about a murder case, wherein a guy was accused of killing his girlfriend’s parent, and maybe had an accomplice with whom he was romantically involved, too. Immediately of course I was judging everyone in the situation, but especially this possible accomplice girl. I was thinking, “What kind of a crazy idiot would you have to be to do such a thing?” But because I couldn’t stop thinking about the situation, I realized really what I wanted to do was to try not to judge this girl, but instead understand what might’ve caused her to participate, and how doing so would affect her after the fact. Storytelling helps us empathize with others (as John Green and others have said many times), so I used this project as a way to try and really get Nikki, instead of merely looking down on her for her life and her choices. What was your revision process like for Criminal? Thanks to a lot of outlining at the beginning, and a ton of fantastic help from the people I interviewed in the research process, I had a solid sense of what this story was and where it was going to go, so the draft came out fairly clean, which made the revision process easier. There were some things my editor suggested I add in to force Nikki into action, and a few extra bits here and there that needed to come out (I always write too much), but there was nothing like the extensive cutting and revising that both The Summer of Firsts and Lasts and Being Friends With Boys had to go through! What's your favorite thing about writing realistic fiction? This parade of human drama that we’re all in is just fascinatingly wonderful to me. Though I do love a well-done fantasy, sci-fi, or horror book from time to time, I’m always more intrigued by —in reading and in my life—relationships, emotive setting, the challenges and rewards that make up real life, and how all of that gets conveyed in good writing. I just love when I read something and the author is able to describe a real moment, or a feeling, in the most perfect way: a way, maybe you never knew was true, or how to articulate, until you read it. There are so many books I’ve read where the sentences have reached out and made me feel, “Yes. That is exactly how this is.” I love that. The art of using words and symbols to create real-feeling people and places and moods that will be conveyed to another real person you may never see or meet: that’s what I find so rewardingly challenging about this work, and is what I’m constantly endeavoring to get better at. If you could pair Nikki with any character from any book, who would you pick for her? Well, if you mean romantically, I think maybe I’d hook Nikki up with Ponyboy from S.E. Hinton’s The Outsiders. By the end of both their books, Nikki and Ponyboy have seen a lot of hard stuff, and gone through some pretty awful things—things that permanently change them. I like to think they’d have this sort of wise understanding of each other, and would be tender with one another in ways other people maybe couldn’t. Friendship-wise (because Nikki definitely needs some good friends), I’d pair Nikki with Pippi Longstocking. Pippi doesn’t have a terrific family base either, or any real resources (she lives in a tree! ), but she has a lot of fun, and a lot of confidence, and I think Nikki could really benefit from a quirky, tough little role model like that: someone who could show her you don’t have to be down-and-out just because you’re down-and-out. Out of all the characters you've written to date, which one did you connect to the most? This question is as tough to answer as the “which of your books is your favorite” one, because of course there is a little kernel of me somehow in all of my characters. (Just like, you know, people say that every person in your own dream is a manifestation of yourself somehow.) If you are forcing me to make a decision though, I’ll say that I think I connect most, so far, to Charlotte from Being Friends with Boys. Like her, I had (and still have) a lot of vital friendships (yes, several of them with guys), and like her it was important to me to try and hold them all together, even when things were changing or falling apart. I also didn’t fit in with any one particular crowd or group in high school—but rather several different ones in different ways—and though that was fun, it also made it a little bit harder for me to figure out what that meant about who I really was. Like Charlotte, it took me awhile to embrace my own identity, I think. Thank you, Terra, for the interview... rereading your answers makes me want to reread Criminal all over again! Now for your chance to win a signed copy of Criminal, just fill out THIS form! This contest is US/Canada only, and ends May 21. No entries will be accepted through the comments, but you should totally leave one anyhow. Thanks, Kari, for the awesome questions and the GREAT post! Good luck to entrants!